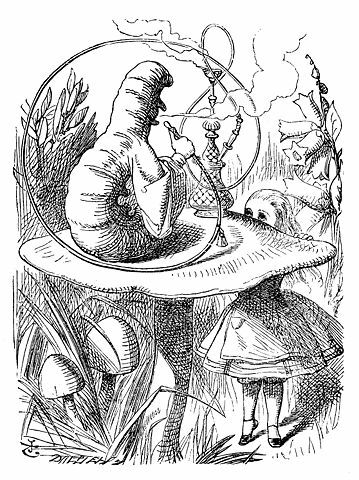 Alice in Wonderland is the abbreviated titled of Lewis Carroll's beloved and fantastical adventure novel, The Adventures of Alice in Wonderland , published in 1865. 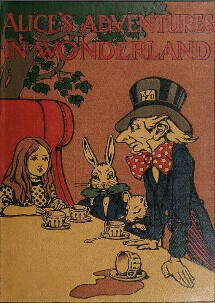 Follow Alice down the rabbit-hole to a world that gets "curiouser and curiouser!" 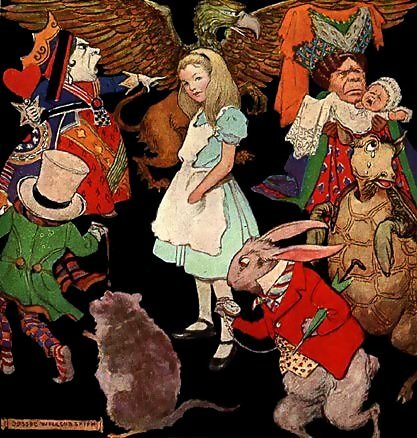 The White Rabbit, Mad Hatter, March Hare, Dormouse, Cheshire Cat, and the Queen of Hearts are among the memorable characters encountered by Alice. This strange and wondrous tale is filled with wit and humor, often read by students in grades 4 - 5. Enjoy Carroll's much shorter version for younger children: Alice's Adventures Under Ground, which features handwritten text and unique sketches by Carroll himself. Return to the Lewis Carroll library.